Ladies Barrel Racing action at the Calgary Stampede 2012. 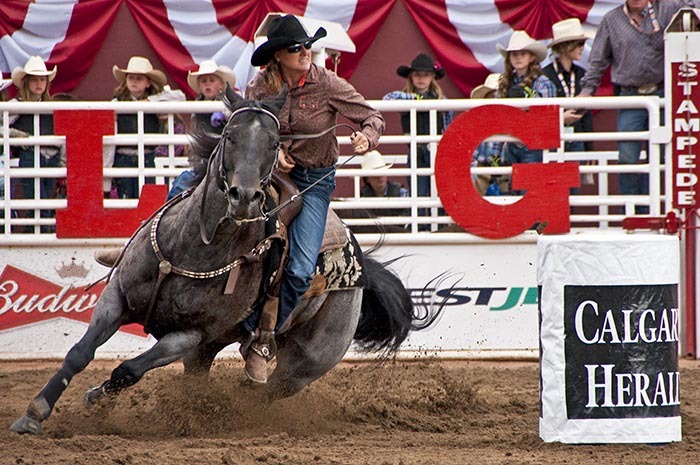 Caption: Ladies Barrel Racing action at the Calgary Stampede 2012. Comments: Dennis Cox's WorldViews include photographs of over 100 countries on all seven continents.